Over the years, David Weinberg Photography has evolved from a venue for the eponymous owner’s own artwork to a traditional commercial gallery. A half a year ago, the space evolved once more into a venue that exclusively exhibits artwork that comes out of or directly serves the mission of a non-profit or social justice organization. As dry as that descriptor might sound, in practice this programming model has thus far produced two powerful exhibitions, the latest being “Try Youth As Youth,” a collaboration with the ACLU of Illinois. The show’s four artists document the physical, emotional and psychological states of youths in incarceration. Though all four artists are addressing the same basic subject matter their approaches vary, providing a multifaceted picture of this cruel and troublesome reality. Some focus on the intense human drama, while others highlight the inhumanity that defines prison life for these children. Veteran photojournalist and Columbia College Chicago faculty member Steve Liss presents a room of black and white photographs from his book entitled "No Place for Children," picturing the youngest inmates of a Texas correctional facility. One image features a boy, barely four feet tall, his chin held by an officer taking a polaroid as the child is admitted into the facility. In another, two adult officers kneel on an inmate’s small body as (we observe in an adjacent photo) his hands and feet are cuffed together. Still others depict boys screaming, or slumped and sobbing. Viewers are informed that the children in this series are plagued with drug problems, violent trauma, and mental and emotional disorders. Unstaged and candid, Liss’ works capture a deep fearfulness in his subjects as they are forcefully removed from their childhoods. While Liss’ series instills a sense of confusion and urgency, works by Tirtza Even, Richard Ross and Steve Davis are slower and more staged. Both Even and Ross work with their subjects like collaborators, revealing the varied circumstances that resulted in the juveniles’ incarcerations. 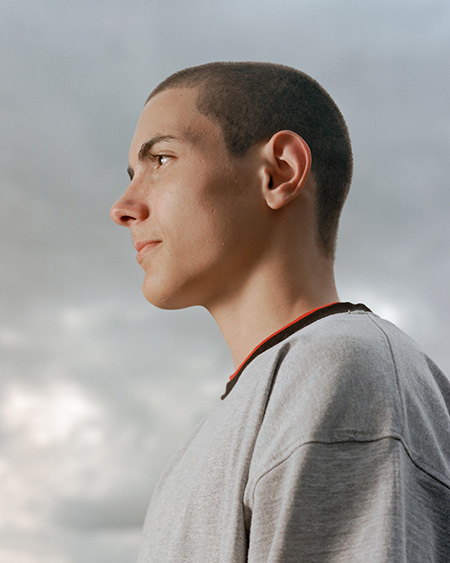 Ross photographs teenage detainees in his series “Juvenile in Justice.” The boys’ and girls’ faces are covered or blurred in anonymity, each confined to their cells or in solitary confinement. Next to each photo is a first-person narrative text. Many describe the circumstances of the violent or nonviolent crimes for which they have been indicted; others, including queer and transgender youths, disclose stories of finding a life amongst drugs and crime more favorable than a home in which they are misunderstood and abused. The narratives may differ, though they share a painful, palpable aura of hopelessness and defeat. Ross’ subjects’ accounts are brief, while Even’s feature-length documentary, "Natural Life," is a more thorough depiction of the complicated histories behind the life sentences of five minors. A mixture of interviews and actor recreations, "Natural Life" recounts shoddy police work and media exploitation, as well as introspective reflection from both the incarcerated youths and their families. Contrasting the wealth of complex details and perspectives in Even’s film is the relatively simple presentation of Steve Davis’ aesthetically traditional portraits in “Captured Youth.” Here, Davis doesn’t supply the details of his subjects’ sentences or crimes, just their first names and the Washington state detention facilities in which they are detained. Whether the boys’ gaze confronts the viewers’ or their eyes are averted, each of the faces is still soft, exuding youthful vulnerability. The work of both Davis and Even provide a paramount reminder that these young lives can be defined by more than just their crimes. There’s no mistaking the unambiguous agenda of this exhibition, and certainly it makes the best use of visual art’s ability to inform, challenge, and stir true human empathy.